In the fifteen chapters of this new book, experts in neuroscience, medicine, psychology, philosophy, and the humanities share groundbreaking perspectives on how nondirective meditation interacts with brain and body, mind and culture. Many schools of meditation portray mind wandering as an enemy, a wild animal that needs to be tamed. In nondirective meditation, the wandering mind is part of the practice. It helps us to relax, and it paves the way for long-term personal development. This new book describes what this means for the life of a meditator. The book starts by defining nondirective meditation as a technique that facilitates stimulus-independent, spontaneous thought. This type of meditation increases the activity of the parts of the brain that become more active when we rest—the default mode network. This network was discovered at the turn of the millennium, and its secrets are still being revealed today. Mind wandering has been calculated to occupy the mind almost half of our waking time. Why does the human mind work this way? What is the point of all our seemingly pointless mental detours? One chapter in the book explains this tendency as a result of our long pre-history of life on the African savanna. There, we never needed to concentrate for hours, as we do in modern offices, but we did need a flexible mind that was open to all sorts of unexpected events, such as a dangerous lion lurking in the bushes or the distant murmur of a river that provides clean water to quench our thirst. The same chapter also points out how much we still depend on the wandering mind, for rest and recuperation, memory and planning, self-insight and empathy, and the ability to think outside the box. Interestingly, activating the brain’s default mode network through nondirective meditation has clear effects on the body. When we meditate, we consume less oxygen, our heart beats more slowly (but also more flexibly), our blood pressure is reduced, and our adrenal glands release fewer stress hormones. At the same time, our electrical brain waves become slower and larger. All of this is believed to be conducive to our physical health, as well as to our mental health and quality of life. Nondirective meditation is more effective than concentrative techniques. One chapter in the book relates how Acem Meditation has been shown to reduce muscular pain, sleep problems, worries, nervousness, and mental distress. Did you know that it is more difficult to quit smoking if you are told to avoid thinking about tobacco? Or to keep your hands off a piece of chocolate if you try not to imagine its sweet taste? One chapter in the book argues that true self-control is not achieved by aiming to rid the mind of unwanted impulses. What we need to control—both in meditation and in life—is our behavior, not our thoughts, because paradoxically, when we try to suppress a thought, it tends to stay in our mind much longer. In a story of two meditators, the book describes how cultivating a free mental attitude in the repetition of a meditation sound can bring about personal development. Another chapter discusses how nondirective meditation may stimulate an integrated form of ethical reflection, in contrast to the distant and alienating views of moral philosophers. A number of chapters discuss how nondirective meditation differs from mindfulness meditation, how learning meditation from an app differs from a more personal learning context, and how Acem’s psychology of meditation differs from other approaches to nondirective meditation. Finally, one chapter is devoted to the history of research on nondirective meditation, while another chapter explores how different contemplative traditions have looked upon mind wandering. 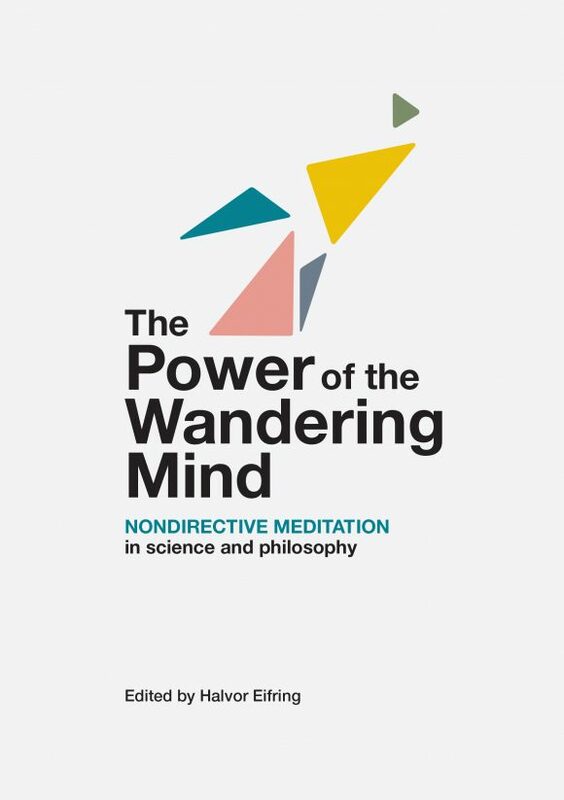 The book not only presents an accessible summary of what science and philosophy know about nondirective meditation and mind wandering, but also uses these results as a basis for reflection on the nature of the meditative endeavor. Edited by Halvor Eifring. Published by Dyade Press. Regular price: €30. Introductory price until the end of May 2019: €15.